September is a month that’s dedicated to suicide awareness and prevention. During September and all year long, we aim to raise awareness and help educate people on how to prevent suicide in their area. 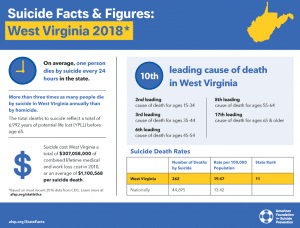 In West Virginia, suicide is the 10th leading cause of death. To help protect you and those close to you from this tragic health issue, it’s important to understand the warning signs and risk factors of suicide and the ways you can help prevent it. Everyone has a role to play in preventing suicide. 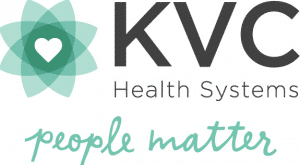 Increasing the connections among family members and others in your circle of reach can play a major role in preventing suicide, according to the Suicide Prevention Resource Center. Research also shows that people having thoughts of suicide can experience relief when someone simply reaches out to them and inquires about their feelings. Connecting your loved one to a support system, such as a hotline, family member.